The caption for this photo literally translates to "Mario crushing my bro LOL." Good thing he explained that one. 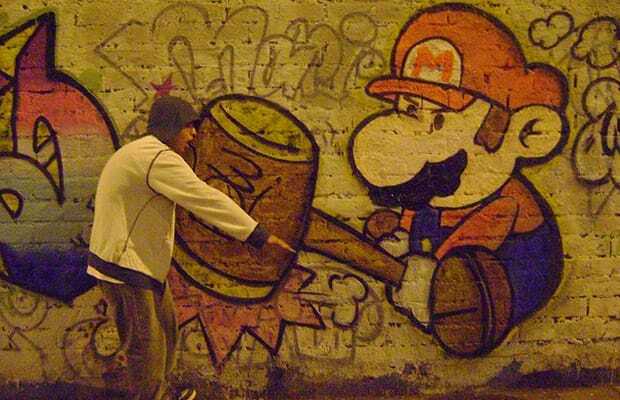 But seriously, we would've done the same thing if we had happened across this graffito on a drunken eve.